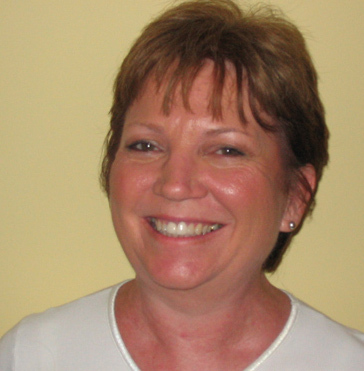 WHF holds 14th Annual Meeting; Welcomes New Trustees. An exciting new path with new health initiatives are being planned. more. What is my cholesterol? May I have a copy of my blood work results? How high should my HDL cholesterol be? What are the different types of cholesterol and how low should my LDL or “bad” cholesterol be? Can I improve my blood cholesterol naturally – without medicine? Do I need medicine to reduce my “bad” cholesterol? If so, what are the side-effects of this medicine? Has this medicine been proven effective in women? What are my target cholesterol numbers? Comparing Drug-Eluting Stents... Are some brands better than others? Boston Scientific Corp. said last week that an internal analysis confirmed an increased risk of late-stent thrombosis with its Taxus drug-eluting stent, which the company said was a problem with the whole class of stents. In a study funded by Johnson & Johnson appearing in the journal, the company's Cypher stent was significantly better at keeping blood flowing through the arteries of a heart attack victim when compared with bare-metal stents. A second editor Frans Van de Werf of the University of Leuven in Belgium cautioned that "it would be dangerous to conclude from these data that one drug-eluting stent is better than the other" because the two brands were not compared in head-to-head. more. Lack of female subjects in durg trials has contributed to a lack of knowledge and confusion within the primary care community in managing this important area of healthcare espousing the practice of gender-specific medicine. The benefit is more clear, however, in the treatment of certain high-risk groups. more. 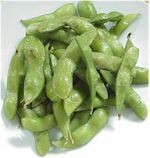 Edamame or soy pods are a sweet, crunchy and delicious source of protein. “One of the healthiest and tastiest legumes, edamame are awesome just steamed and served with sea salt and lemon juice. But it can be equally enjoyed without much hassle in salads and purees. They are the next generation in snack food, and incredibly healthy for you too!” -Ming Tsai on Edamame: Click here for an entire assortment of recipes from Wegmans. Changing your eating habits can be an adventure. Try having an occasional all-vegetarian meal. Edemame is one food source that all health-conscious consumers will want to learn about. Not only is the soybean pod a tasty snack, but it also is a great source of isoflavones to help protect bone health, and it can lower LDL - the "unhealthy" cholesterol. Celebrate Women's Health Month by discovering new, healthier foods to eat. Take Care of Your Heart.